Visit America's only museum of mathematics. Whether you're a math whiz or need a little help with it, the National Museum of Mathematics "MoMath" can be enjoyed by all. 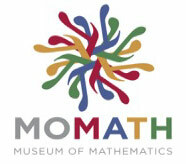 Dedicated to enhancing the public's understanding and perception of mathematics in daily life, MoMath features over 40 state-of-the-art interactive exhibits and programs. Each installation or workshop is designed to present a mathematical challenge to stimulate inquiry, spark curiousity, and reveal the wonders of math. 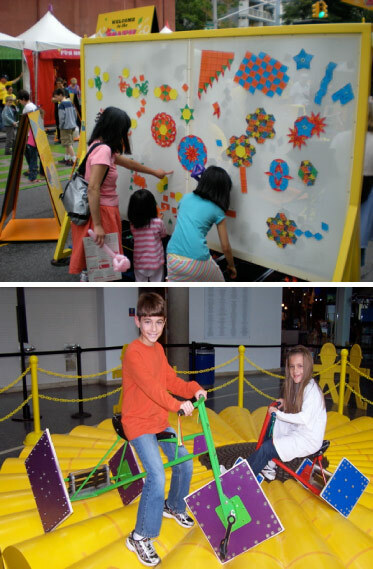 Popular exhibits at the museum include, Feedback Fractals, which uses ordinary video cameras to produce beautiful and infinitely repeating patterns; Wall of Fire, where visitors interact with a high-room plane of laser light to discover the hidden shapes in everyday objects; and Pedal on the Petals where visitors ride a square-wheeled tricycle over a sunflower-shaped track. Convenient discount parking is available near MoMath at the Parking.com locations listed above. Click 'Coupon' next to a location address to print your discount parking coupon (required to receive the special rates) or click the location address to see more information about the parking location. MoMath is conveniently located in the Flatiron District near Madison Square Park, and a variety of fine restaurants and hotels in the area.